Bis-GMA light-cured composite resin. Outstanding polymerization depth (up to 9mm), excellent physical properties and proven adhesive strength. 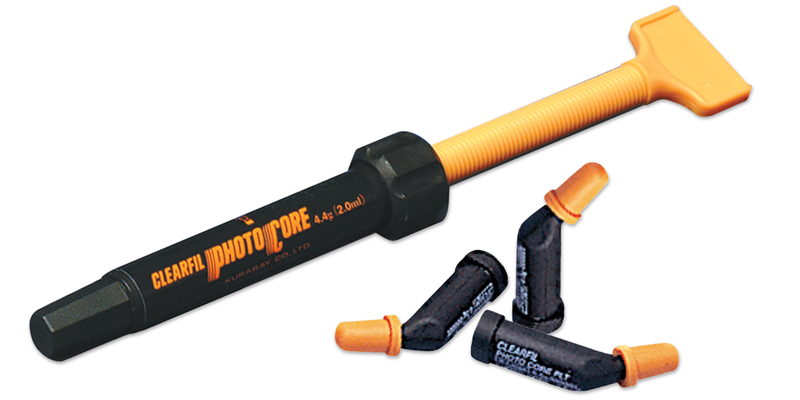 Safe and strong for virtually all core build-up situations. Contains: 3 x 4.2g syringes.